Thank you BrockWhite Canada and Galaxy Motors! Yesterday Adam Kliewer, Regional Manager of BrockWhite Canada, presented a cheque for $5,000.00 to ABIN founder Rob Tournour for our newest project, Sharada Secondary School construction project in Sankhuwasava district of Nepal. 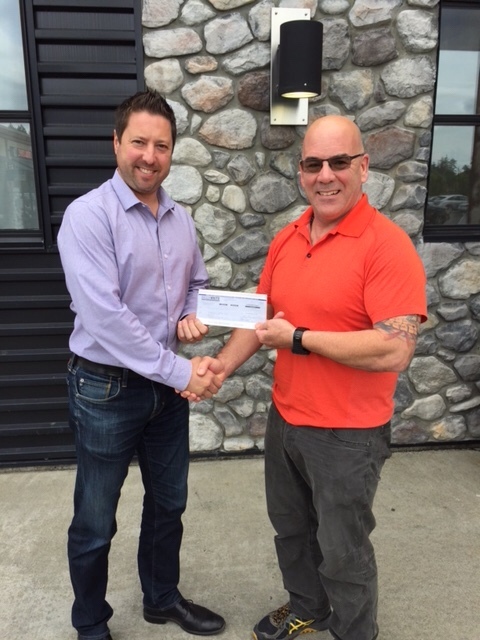 We also received a $600 donation from Galaxy Motors here in Victoria. These generous donations will cover 10% of the cost to help rebuild the two-storey building. More details about the new project in our next post.